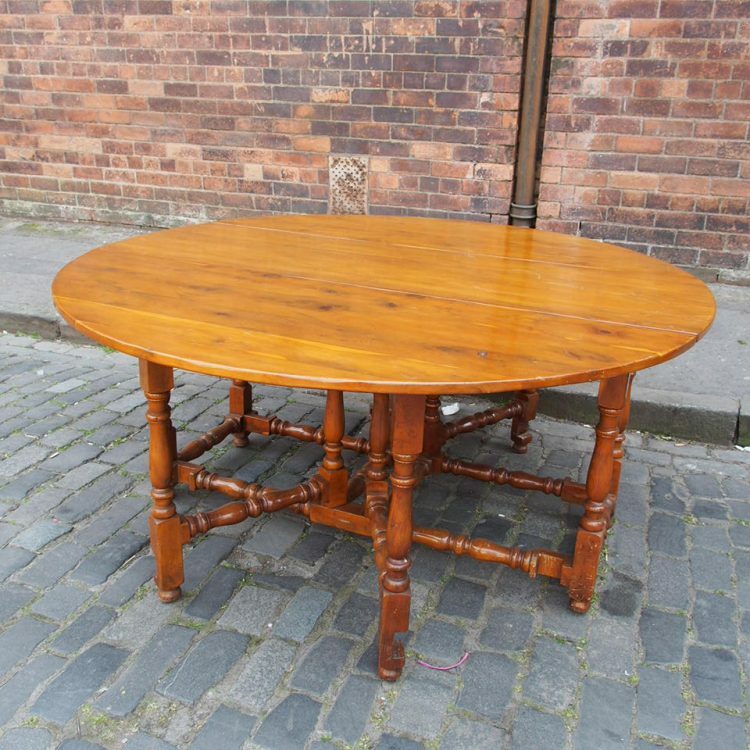 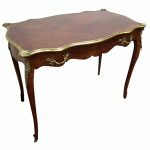 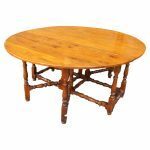 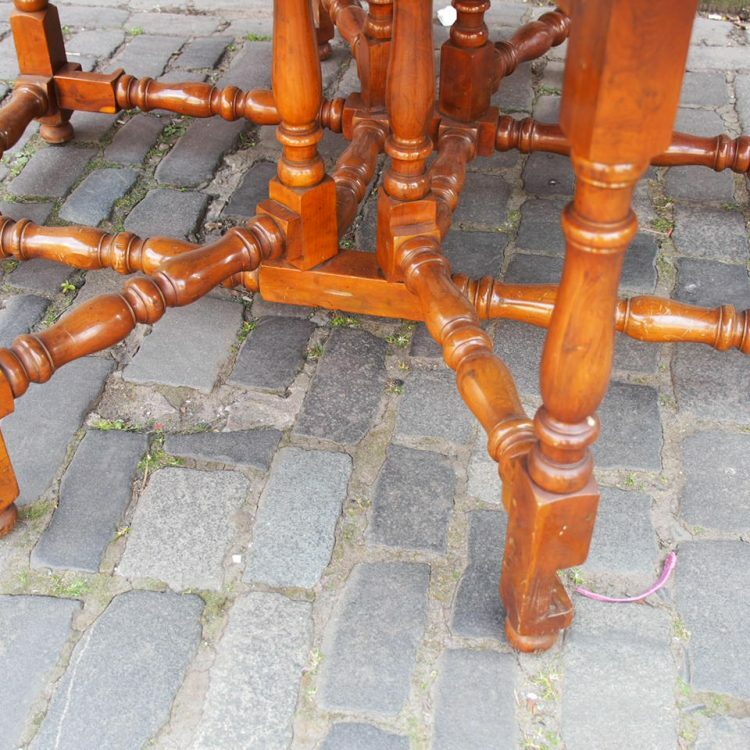 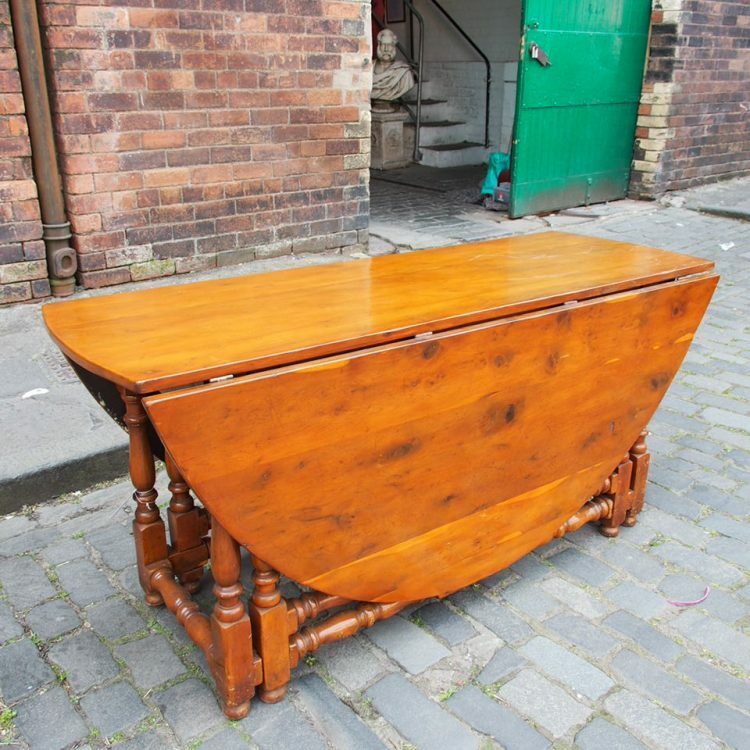 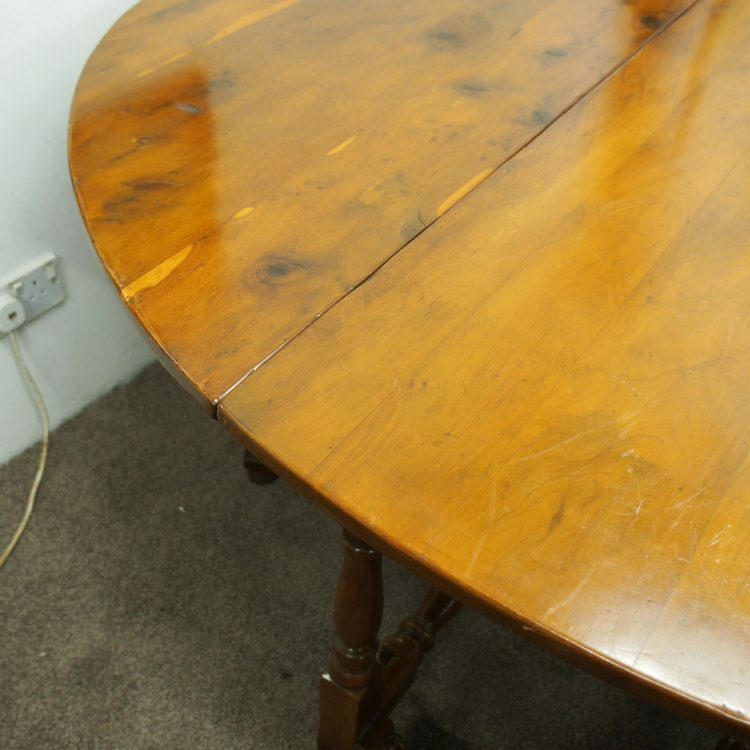 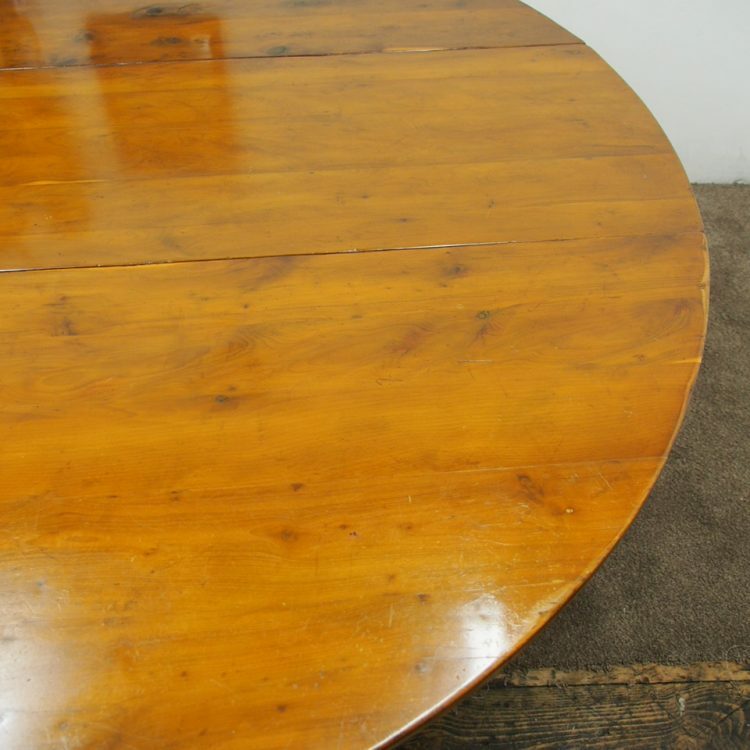 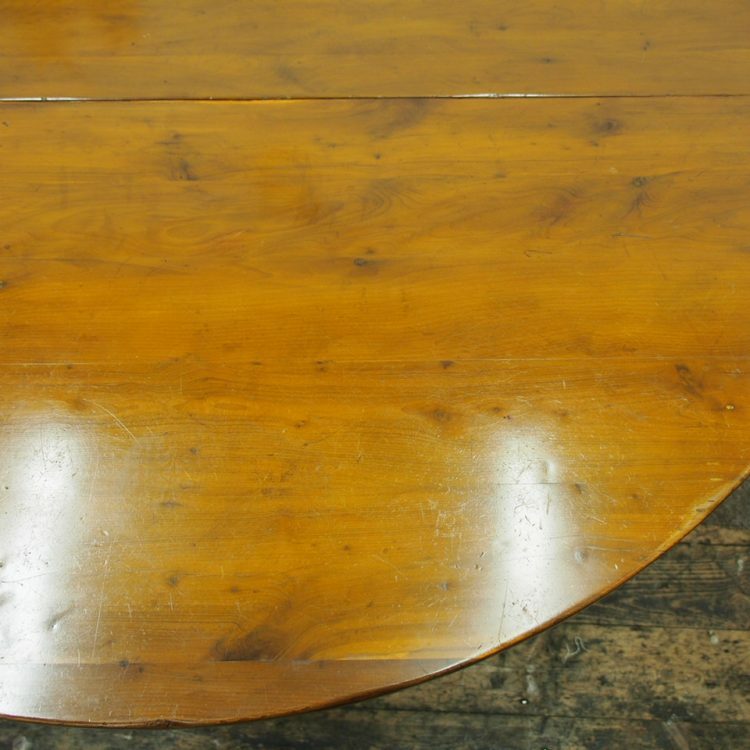 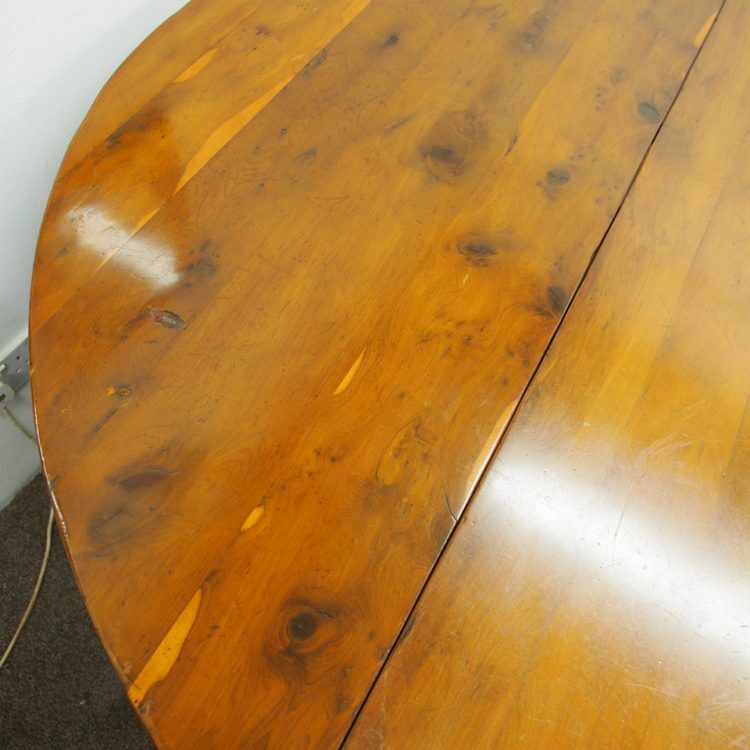 Circa mid 1900s, rare solid yew wood gate-leg dining table. The large figured yew top has deep, rounded drop leaves above a shaped frieze, and beneath this are robust baluster turned legs. These are supported by several gates which are connected by similar turned stretchers. 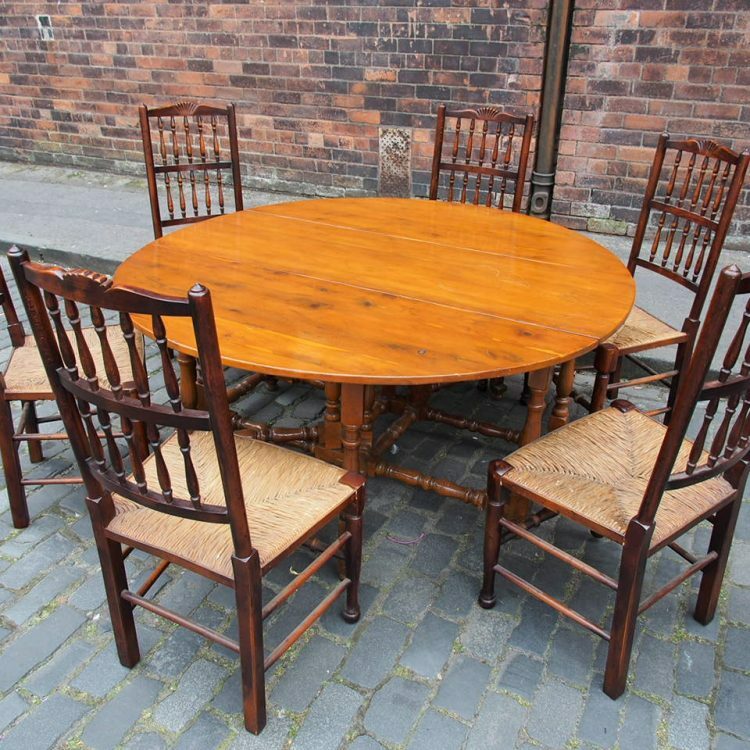 Could comfortably seat 8 people.